The alphabet network offers their spin on the ratings for the second week of the 2012-13 season. They make particular mention of 20/20, 666 Park Avenue, America’s Funniest Home Videos, Castle, Dancing with the Stars, Grey’s Anatomy, Last Resort, The Middle, Modern Family, The Neighbors, Once Upon a Time, Primetime, Private Practice, Revenge, Scandal, and Shark Tank. ABC (7.7 million) qualified as the No. 2 most-watched network overall for the 2nd consecutive week (w/o 10/01/12), topping an NFL-driven NBC (+3% – 7.5 million) and Fox (+45% – 5.3 million). And despite the pre-emption of “Modern Family” for the Presidential Debate on Wednesday, ABC paced within 2-tenths of a rating point for the week’s lead among Adults 18-49 in Nielsen’s non-sports averages (ABC=2.04, Fox=2.17, NBC=2.22 and CBS=2.22). Rankings: With “Grey’s Anatomy” and “Once Upon a Time,” Disney-ABC delivered 2 of TV’s Top 3 dramas for the week in Adults 18-49, as “Grey’s Anatomy” finished No. 1 for the 2nd week in a row. Overall, the Net aired 5 of the Top 20 most-watched television programs of the week: “Dancing with the Stars” – No. 9, “DWTS: The Results” – No. 12, “Grey’s Anatomy” – No. 14, “Castle” – No. 18 and “Once Upon a Time” – No. 19. And for the 2nd consecutive week this season, ABC’s “The Neighbors” stood as TV’s most-watched new comedy. For the 2nd week in a row, ABC (11.7 million) led the pack on Monday with “DWTS: All-Stars” and “Castle,” drawing 5% more viewers than NBC (11.2 million – “The Voice”/”Revolution”), 48% more viewers than CBS (7.9 million – “HIMYM”/”Partners”/”2 Broke Girls”/”Mike & Molly”/”Hawaii Five-0”) and 125% more viewers than Fox (5.2 million – “Bones”/”The Mob Doctor”) In addition, ABC outdelivered Fox’s Monday prime in Adults 18-49 for the 2nd straight week, leading by 25% (2.0/5 vs. 1.6/4). Building its audience from its first hour to its second hour against strong competition, “Dancing with the Stars: All-Stars” (12.4 million) ran in a virtual-tie for the lead in its time slot. In addition, the ABC unscripted series beat out Fox’s dramas in the 2-hour time period by 31% in Adults 18-49 (2.1/5 vs. 1.6/4). Standing as Monday’s most-watched scripted telecast for the 2nd week running, ABC’s “Castle” (10.4 million) led the 10 o’clock hour by increasing margins week to week, topping NBC’s “Revolution” by 2.1 million viewers (8.3 million) and CBS’ Hawaii Five-0 by 2.4 million viewers (8.0 million). Additionally, the ABC drama finished as the No. 2 series in the hour with Adults 25-54 (2.6/6). With a “Dancing” special, “DWTS: All-Stars — The Results Show” and “Private Practice,” ABC finished as the No. 2 most-watched TV network on Tuesday (8.8 million) for the 2nd week running to CBS (“NCIS”/”NCIS: LA”/”Vegas”). Increasing its lead week to week, ABC outdrew NBC by 2.7 million viewers (“The Voice”/”Go On”/”The New Normal”/”Parenthood” = 6.1 million) and once again more than doubled Fox’s 2-hour comedy block on the night (+120% ahead of “Raising Hope”/”Ben and Kate”/”New Girl”/”The Mindy Project” = 4.0 million). Leaping over its lead-in at 9:00 p.m. in viewers (+45%) and young adults (+50%) opposite stiff competition, ABC’s “DWTS: All-Stars — The Results Show” earned 2nd place in its hour with Total Viewers (12.0 million), Adults 25-54 (3.0/7) and key Women (W18-49/W25-54). In addition, “The Results Show” beat out NBC comedies (“Go On”/”The New Normal”) in the hour among Adults 18-49 (2.1/6 vs. 2.0/5). In fact, from 9:30-10:00 p.m. in Adults 18-49, “DWTS” (2.2/6) defeated Fox’s “The Mindy Project” by 16% (1.9/5) and NBC’s “The New Normal” by 29% (1.7/5). Singer and actor Joey Fatone was the second celebrity dancer to leave the competition this season. · Tuesday’s most-watched unscripted show for the 2nd week in a row, ABC’s “DWTS: All Stars — The Results” topped NBC’s “The Voice” on the night by 3.5 million viewers (12.0 million vs. 8.5 million). · Bucking the trend of week-to-week declines for most other programs, ABC’s “The Results Show” grew over its week-ago season opener in Total Viewers (+2%), Adults 18-34 (+8%) and Women 18-34 (+20%), while holding 100% of its premiere Adult 18-49 number. During the 10 o’clock hour, ABC’s “Private Practice” outdrew NBC’s “Parenthood” for the 2nd week in a row, leading by 1.5 million viewers (6.0 million vs. 4.5 million) and by 10% in Adults 25-54 (2.2/5 vs. 2.0/5). The ABC drama ranked No. 1 in the hour with key Women (W18-49/W25-54). · Based on the first round of DVR playback, “Private Practice” saw a big spike from its Live + Same Day numbers to Live + 3 Day numbers, shooting up by 2.0 million viewers and by 9-tenths in Adults 18-49 (+47%). At 8:00 p.m. opposite Fox’s “The X Factor” and CBS’ “Survivor: Philippines,” ABC’s “The Middle” beat out its NBC comedy competition (“Animal Practice”) by 3.1 million viewers (7.7 million vs. 4.6 million) and by 69% in Adults 18-49 (2.2/7 vs. 1.3/4). In addition the ABC comedy bested “Survivor” in both Adults 18-34 (+7%) and Women 18-34 (+27%). Retaining a strong 86% of its Adult 18-49 lead-in at 8:30 p.m., against the second half-hours of “X Factor” and “Survivor,” ABC’s “The Neighbors” defeated its freshman comedy competition (NBC’s “Guys with Kids”) by double digits in Total Viewers (+31% – 6.3 million vs. 4.8 million) and young adults (+19% – 1.9/5 vs. 1.6/5). · For the 2nd week in a row, “The Neighbors” (6.3 million) qualified as TV’s most-watched new comedy, leading by solid margins over its 7 freshman competitors, including CBS’ “Partners” (+9% – 5.8 million), NBC’s “Go On” (+9% – 5.8 million), “The New Normal” (+40% – 4.5 million), “Animal Practice” (+37% – 4.6 million) and “Guys with Kids” (+31% – 4.8 million), and Fox’s “Ben & Kate” (+97% – 3.2 million) and “The Mindy Project” (+70% – 3.7 million). On its first night of debate coverage, ABC News’ “Your Voice, Your Vote – 2012 Presidential Debate” drew an average audience of 11.3 million viewers, qualifying as Wednesday’s No. 1 program in Total Viewers. Airing from 9:00-10:32 p.m., ABC News delivered the most-watched coverage of the debate, outdrawing CBS by 7% (10.6 million) and NBC by 2% (11.1 million). · ABC’s debate coverage was up over the Net’s coverage of the first Presidential debate 4 years ago by 2% in Total Viewers (11.0 million on 9/26/08). 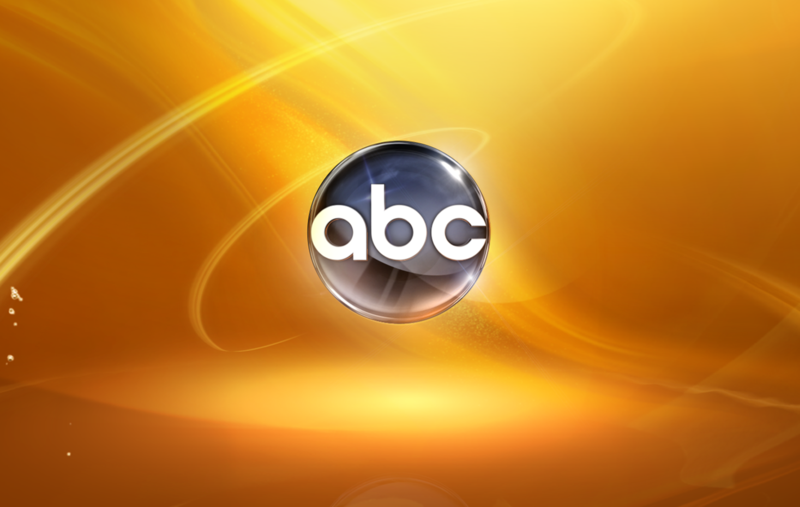 ABC News’ analysis of the 2012 Presidential Debate on Wednesday night ranked as the No. 1 post-debate analysis in Total Viewers (8.9 million), topping NBC’s coverage by 2% (8.7 million) and CBS’ coverage by 27% (7.0 million). · ABC’s analysis of the 2012 Presidential Debate grew by 7% in Total Viewers from the Net’s analysis on the comparable night 4 years ago (8.3 million on 9/26/08). · The ABC News debate analysis delivered the Network’s best performance in the half-hour in nearly 1 year in Total Viewers – since 11/9/11. With its drama lineup (“Last Resort”/”Grey’s Anatomy”/”Scandal”), ABC was up over the year-ago Thursday (10/6/11) by double digits in viewers (+23% – 8.5 million vs. 6.9 million) and young adults (+24% – 2.6/7vs. 2.1/6), growing the most among the broadcast nets. In fact, Fox and NBC were both down sharply on the evening. During the 8 o’clock hour opposite Fox’s “The X Factor” and CBS’ top-rated comedies (“The Big Bang Theory”/”Two and a Half Men”), ABC freshman “Last Resort” outdelivered NBC’s established comedies (“30 Rock” premiere/”Up All Night”) by 4.7 million viewers (8.0 million vs. 3.3 million) and by 36% in Adults 18-49 (1.9/6 vs. 1.4/4). Based on initial DVR playback, “Last Resort” saw a big spike in time-shifted viewing, picking up 2.2 million viewers and jumping 36% in Adults 18-49 from L+SD to L+3. 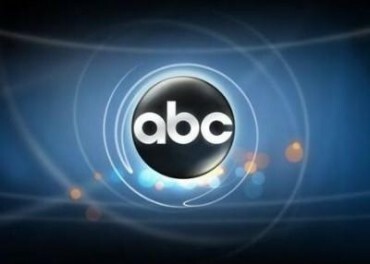 · The new ABC drama continued to improve its time period year to year, dramatically boosting its hour by 2.1 million viewers and by 58% in Adults 18-49 over the same night last year with original drama programming (“Charlie’s Angels” on 10/6/11 = 5.9 million and 1.2/4). Doubling its lead-in at 9:00 p.m. in Adults 18-49 (+100%), ABC’s “Grey’s Anatomy” dominated its competition and qualified as Thursday’s clear No. 1 drama for the 2nd consecutive week. Among young adults in the 9 o’clock hour, ABC’s “Grey’s” (3.8/10) outpaced CBS’ “Person of Interest” by 27% (3.0/8), Fox’s “Glee” by 48% (2.6/7) and NBC’s comedies by 81% (“The Office”/”Parks and Recreation” = 2.1/6). Additionally, “Grey’s” finished as Thursday’s highest-rated TV show for the 2nd week in a row with Women 18-34 and Women 18-49. · Growing year to year for the 2nd week running, “Grey’s” posted strong increases over the same night last year in viewers (+24%) and young adults (+23%). Retaining nearly all of its week-ago premiere numbers during the 10 o’clock hour, ABC’s “Scandal” significantly closed the gap with CBS’ “Elementary” week to week, while continuing to tower over NBC’s “Rock Center with Brian Williams” in Total Viewers (+94% – 6.6 million vs. 3.4 million) and Adults 18-49 (+100% – 2.0/6 vs. 1.0/3). The sophomore ABC series ranked as the No. 1 scripted program in its slot for the 2nd straight Thursday in Women 18-34. A big beneficiary of DVR playback, the 10:00 p.m. drama jumped up by 31% in viewers and by 33% in young adults over its first-reported L+SD numbers to its Live + 3 Day results. Featuring “Shark Tank,” “What Would You Do?” and “20/20,” ABC was the No. 1 broadcaster on Friday night in Adults 18-49 (1.5/5), winning by double digits over NBC (+15% – 1.3/4), CBS (+50% – 1.0/4) and Fox (+50% – 1.0/4). ABC’s “Shark Tank” stood as the night’s No. 1 TV series across all key Adult demos (AD18-34/AD18-49/AD25-54). ABC’s “Shark Tank” dominated the 8 o’clock hour among Adults 18-49 (1.8/7), leading the pack for the 4th week in a row. In fact, the ABC unscripted series towered over CBS’ “CSI: NY” (1.2/4), widening its winning advantage to 50% (up from a 15% advantage the prior week). · Surging week to week by 20% in Adults 18-49, “Shark Tank” equaled its highest-ever young adult rating for a regular telecast. At 9:00 p.m., ABC’s “What Would You Do?” ranked a strong second versus its network rivals among Adults 18-49 (1.4/4), beating Fox’s “Fringe” by 40% (1.0/3) and CBS’ “Made in Jersey” by 75% (0.8/3). During the 10 o’clock hour, ABC’s “20/20” was up year to year for its 4th straight telecast: Total Viewers (+17% – 4.1 million vs. 3.5 million), AD18-49 (+9% – 1.2/4 vs. 1.1/3) and AD25-54 (+7% – 1.6/4 vs. 1.5/4). Anchored by Chris Cuomo, ABC’s “20/20” featured an in-depth look at the stalking case of Waseem Daker, who was convicted of murder and sentenced to life plus 47 years in prison. Featuring the Nebraska at Ohio State game, “Saturday Night Football” made ABC the most-watched network on the evening (5.1 million), outdrawing college football coverage on Fox by 9% (4.7 million) and on NBC by 42% (3.6 million). · ABC was up over the prior Saturday by 28% in Total Viewers, delivering its biggest audience on the night in 5 weeks — since 9/1/12. · Airing from 8:06-11:53 p.m., ABC’s “Saturday Night Football” was the No. 1 TV program of the night in Adults 18-49 (1.5/5-tie), leading NBC’s “Notre Dame Football” by 36% (1.1/4 from 7:30-11:00 p.m.). · “Saturday Night Football” grew over the week-ago game by 21% in Total Viewers (5.2 million vs. 4.3 million) and by 15% among young adults (1.5/5 vs. 1.3/4), marking its most-watched telecast since its season premiere. Up against NBC’s “Sunday Night Football” and an NFL-overrun boosted CBS, ABC outdrew Fox’s Sunday night schedule by 2.2 million viewers (7.4 million vs. 5.2 million). · ABC was up from the year-ago Sunday by 15% in Adults 18-49 (2.3/6 vs. 2.0/5). During the 7 o’clock hour, opposite CBS’ huge Broncos-Patriots NFL primetime overrun, ABC’s season opener of “America’s Funniest Home Videos” grew from its year-ago season premiere in Total Viewers, across the Women demos and with Kids 2-11. The veteran ABC video clip show retained 100% of its year-ago opener with Adults 18-49 (1.5/4). · From its first half-hour to its second half-hour, “AFVH” saw its numbers shoot up by 26% in viewers (5.7 million to 7.2 million) and by 50% in young adults (1.2/3 to 1.8/5). More than doubling its Adult 18-49 lead-in (+127%) and building audience from start to finish, ABC’s “Once Upon a Time” (3.4/9) finished No. 1 against its non-sports competition from 8:00-9:00 p.m., beating an NFL-overrun-fueled CBS by 13% (“60 Minutes”/”The Amazing Race” = 3.0/7) and Fox’s animated comedies by 26% (“The Simpsons”/”Bob’s Burgers” = 2.7/7). For the 2nd week in a row, ABC’s “Once Upon a Time” stood as Sunday’s No. 1 scripted show in Adults 18-49 (tie) and as the night’s top-rated TV show overall with Women 18-34. In addition, The Disney-owned drama retained 90% or more of its big week-ago premiere with Women 18-49 (90%), Women 18-34 (94%) and Kids 2-11 (94%). · “Once Upon a Time” boosted its time period for ABC over the year-ago night by 32% in Total Viewers (9.8 million vs. 7.4 million) and by 70% in Adults 18-49 (3.4/9 vs. 2.0/5). · Based on early DVR playback for the new season (Live + 3 Day), “Once Upon a Time” saw its numbers spike by 2.4 million viewers and by 1.1 Adult 18-49 rating points over its initially-reported Live + Same Day ratings. During the 9 o’clock hour, “Revenge” moved ABC further ahead of its CBS competition, beating out the combination of “The Amazing Race” and “The Good Wife” by 18% in Adults 18-49 (2.6/6 vs. 2.2/5). In addition, the ABC sophomore drama ranked as the No. 1 entertainment series in its time period with key Women (W18-34/W18-49/W25-54). · On its new night and time, ABC’s “Revenge” was up from its year-ago performance on Wednesday night (7.7 million and 2.4/6 on 10/5/11) in both viewers (+9%) and young adults (+8%). · A big gainer in DVR playback, “Revenge” built from its L+SD to L+3 numbers by 2.2 million viewers and nearly 1.0 Adult 18-49 rating point (+0.9). Topping CBS’ dramas (“The Good Wife”/”The Mentalist” = 1.0/3 and 1.6/4) in the 10 o’clock hour, ABC’s “666 Park Avenue” (1.3/4 and 1.7/4) ranked as the No. 1 non-sports series in its time slot for the 2nd week in a row with key Adults (AD18-34/AD18-49). The new ABC drama was also the entertainment leader in the hour across all key Women demographics. · During its first 3 days of DVR playback, “666 Park Avenue” saw its Adult 18-49 rating jump by 38% and added on another 2.0 million viewers over its Live + Same Day numbers. Source: The Nielsen Company (National, Live+ Same Day Program Ratings), week of 10/01/12.